The concept of producing locally in China for the Chinese market has worked out for battenfeld-cincinnati in Foshan/Shunde as it celebrates its 20th anniversary this year. 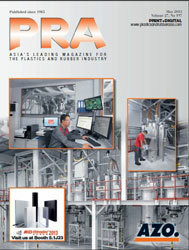 Its success can be attributed to the booming pipe/profile and packaging markets in China. 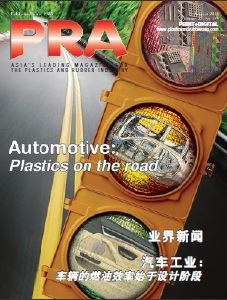 In the past years, the market for extruded products has developed significantly, both in terms of volume and of quality. “While our equipment was in demand in only a small, high-quality segment twenty years ago, this has completely changed. With the growing demand for high-quality pipes and profiles, the demand for suitable equipment technology has also increased,” according to CEO Gerold Schley as a reason for the company’s continued growth. Along with the market, the machine portfolio of battenfeld-cincinnati China has changed over the years. Today, besides the well-established extruders of the solEX and twinEX series, the company offers other products like the Fast Dimension Change (FDC) system for pipe production, which allows pipe diameter changes during production for material-savings, just like the Multi-Touch roll stack for manufacturing thermoforming sheet. In addition to the high-end segment, battenfeld-cincinnati has also been working in the past year on expanding the product portfolio for the mid-market. “With the LeanEX series, we offer customised components and complete turnkey lines for the Chinese market,” says Toni Bernards, CEO of battenfeld-cincinnati China. The LeanEX series combines basic pipe extrusion lines for standard applications with high performance for a dimensional range from 63 to 630 mm. Since their introduction seven years ago, almost 100 systems, complete lines or retrofit components have been sold. 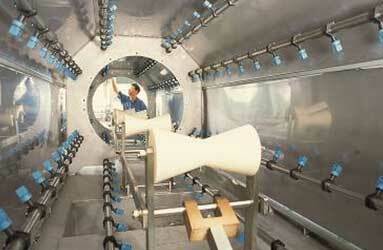 One of the customers is pipe manufacturer Shandong Huaxin Plastic Pipe, which produces nearly 200,000 tonnes/year. Like its Austrian-German parent company, battenfeld-cincinnati China’s product portfolio includes pipe extrusion lines for PO, PVC and PE-RT pipes, profile extrusion lines for window main profiles or small technical profiles and pelletising lines, as well as extrusion lines for thermoforming sheet production. The latter are offered as hybrid lines, for which some components are supplied from Europe. The packaging market is booming all over the world and so is the demand for high-quality packaging that offers protection and long shelf life for the packaged goods. The sheets produced in thicknesses from 350-2,500 microns are flat and stress-free, thanks to the roll stack technology, and are therefore suited for further processing in thermoformers. Due to the high outputs, the firm says that one Multi-Touch line can replace several conventional lines; this means less space requirements as well as lower operating and maintenance costs. Because of these advantages, several Multi-Touch lines have been installed in Asia, too. Bernards also says that since its foundation in 1996, the company has developed positively and last year, sales increased by 20%. 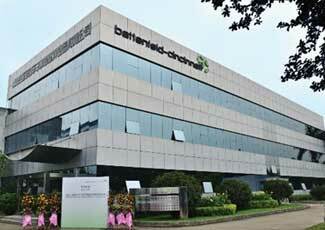 Today, battenfeld-cincinnati China has 130 employees and contributes about 25% to the group’s sales. In the beginning, the machine manufacturer focused only on the Chinese market, but now, annual export rates of 45% are achieved, with the main export markets being Vietnam, Indonesia, Malaysia and Thailand. In China, 90% of battenfeld-cincinnati’s customer base consists of small, local processors, while the other 10% of customers are companies operating on a global scale.